Since starting my wedding planning business I’ve had the opportunity to work with some of the most creative + inspiring vendors in the industry - some of whom have become my closest friends. I love having the opportunity to recommend them to anyone seeking their wedding services! I thought this would be the perfect spot to highlight some of these amazingly talented folks, and grab some quick advice to help newly engaged couples navigate the wedding planning process! 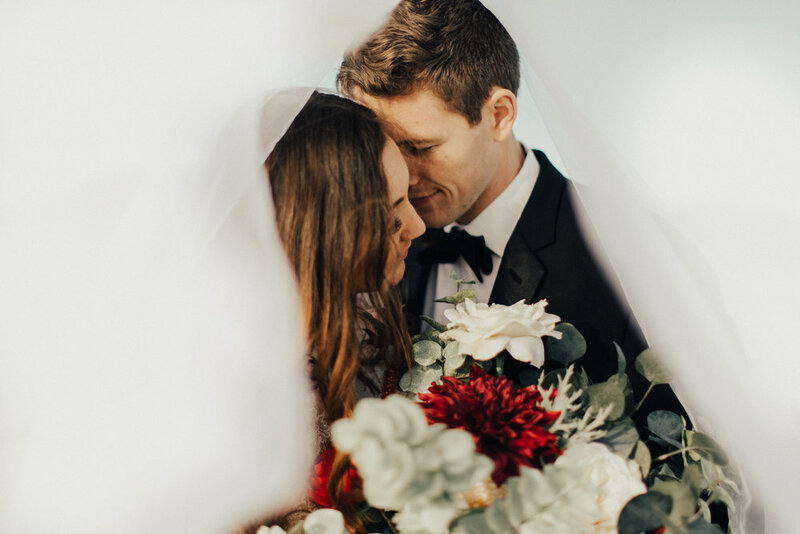 For our very first Flourishing Together, we’re talking with Fort Collins based photographer Clancey Woodlee of Clancey James Creative. 1. Tell us a little bit about you + what you do. Hi! I'm Clancey. I am a 25 year old photographer based in Fort Collins, Colorado. My passion lies in photography. Primarily my focus is on faces. Portraits & Weddings. 2. What’s your favorite part of photographing weddings? I mean- what's not to love? Weddings are literally a celebration of love. A couple surrounded by all of the people that cherish and support them. Add in some gorgeous flowers, tasty foods and desserts (obviously) and you have the perfect day. 3. What advice would you give to a newly engaged couple? Set your own expectations. At the start of your engagement sit down together and make a list of things that are important to you the two of you. Do this before you get any ideas or advice from anyone else. Your wedding day should be about what is important to you two as a couple, not everyone around you. If you want to get married in a hot air balloon, do it. If you want to have Creme Brûlée instead of cake, have it. If the most important part of your wedding day is spending time together, schedule it out. You are in complete control of how your wedding flows. Trends are fleeting and traditions are overrated. Your love isn’t like anyone else's so why plan your wedding that way? 4. What’s one thing you wish would have known before your own wedding? That a wedding is not a Pinterest board. Sure, you can get some ideas and suggestions online and from friends but at the end of the day the things that are most special can't be planned. The part I cherish most about our wedding day were the feelings not the things. 5. What is something that makes Colorado a special wedding location? Try to name one thing that isn’t special about Colorado. We are so lucky to work in an industry where everyone is friends. I see my fellow vendor friends or as I like to call them “friendors" around daily and we always work together to provide the best experience for our couples. Plus the mountains, plus the blue skies, plus the Colorado water (have you had the Colorado water, I mean HELLLO). 6. What are some wedding trends you’re loving? Trends have to start somewhere, so I love that couples are branching out a bit from the norm and doing fun original things! Bright beautiful wedding flowers are a trend that I'm currently obsessing over. Florals are a huge inspiration to me. Picking out a spot to get married that is a bit against that grain is also super fun (think: warehouse, coffee shops, roof tops, that kind of thing). You can see some of Clancey’s gorgeous work on his website or follow him on Instagram.